After the let-down in Alabama Saturday the Wildcats looked to get back on track in their SEC home opener against Texas A&M. LAfter the let-down in Alabama Saturday the Wildcats looked to get back on track in their SEC home opener against Texas A&M. 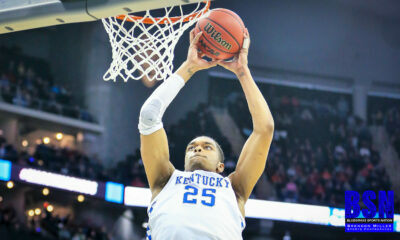 The Aggies, whom won the last game, were looking to tighten the series which stood at 9-4 in UK’s favor before the tip. Unfortunately, the Cats shot poorly to start the game and allowed the Aggies to score the first 10 points of the ball game. 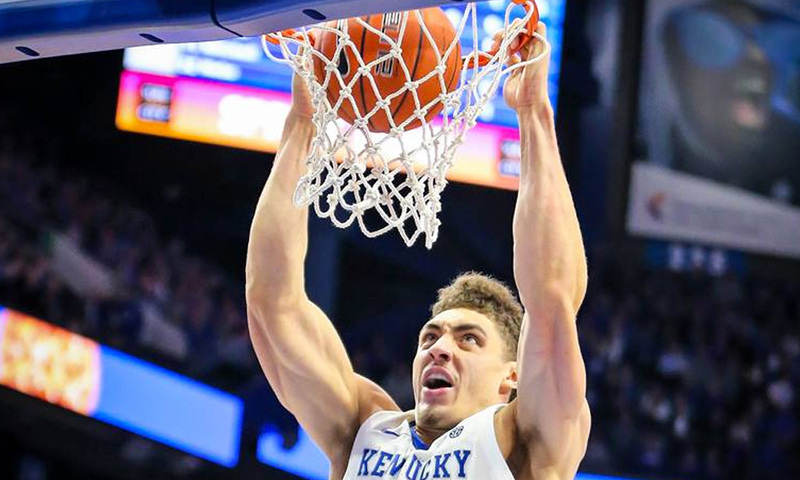 Kentucky was able to pull back into the game when Nick Richards came off the bench and scored 5 straight, sparking a 22 to 4 point Kentucky run. The good play continued throughout the first half as the Cats took a 46 to 34 led into the locker room. Kentucky wasn’t able to put Texas A&M completely away in the second half. The Cat’s defense began to soften after being up 14 early in the half and the Cats allowed the Aggies to pull within 2 with 7:55 left in the half. The Wildcats did, however, defeat the A&M 85 to 74. 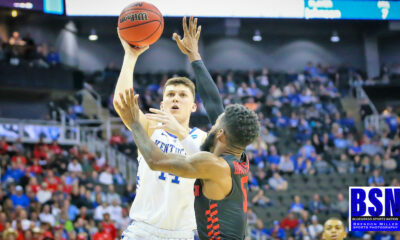 Tyler Herro was the leading scorer of the game with 21 points and he grabbed 5 rebounds. It was another impressive game for Ashton Hagans who scored 18 points and managed 5 steals in another great defensive game. Even though the Cats started the the game with poor shooting, they ended the game shooting 52% and hit 21 of 23 (91%) of their free-throws. The bench helped Kentucky score by adding 23 points. 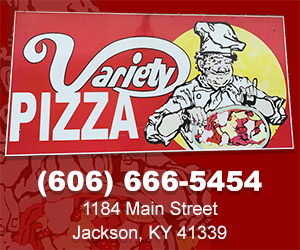 Let’s hope that the good play continues when Kentucky host Vanderbilt on January 12th at 8:30 on the SEC Network.